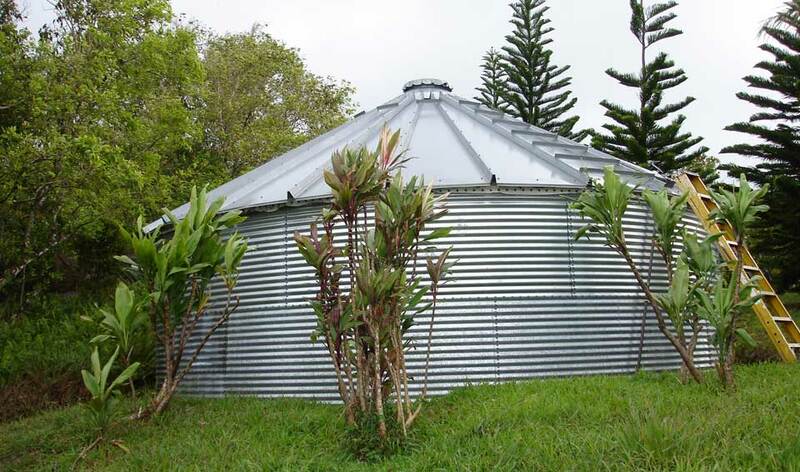 Skafco grain storage company on the west coast manufactures a cone shaped galvanized cover for certain sizes of water tanks which Eco products Maui distributes and installs on Maui. They are quite substantial and prevent tampering with the water in the tank, algae growth and evaporation. They must be shipped from the mainland and usually require a skaffold system or lifting machine to install. The following photo is of a Skafco Metal Cover and a Skafco Water Tank.